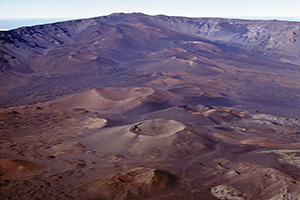 Discover Maui's Haleakala crater & Molokai's remote north shore. Perhaps the best way to see the hidden beauty of Kauai is by air. 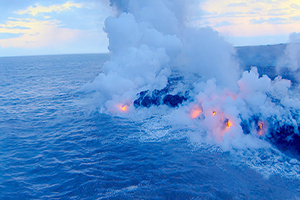 Experience the fiery lava vents of the Big Island's active volcano, Kilauea. Let our trained staff create a truly unforgettable event for you; from inter-island transfers to Big Island volcano excursions or a private charter. 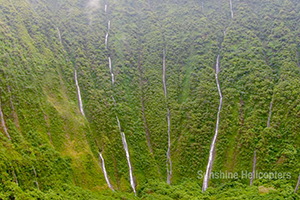 See highlights of West Maui and Hawaii's tallest waterfalls along Moloka'i's isolated north shore. Explore the unreachable beauty that is Kauai. 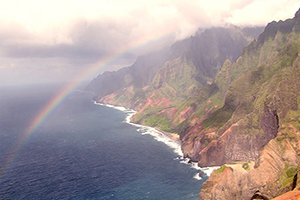 You will see the Na Pali Coast, Waimea Canyon, Wailua Falls and Mt. Waialeale. 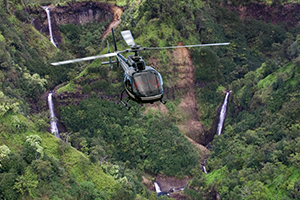 Save $50 per person on Ultimate Kauai Adventure Early Bird Helicopter Tours. Fly before 8:30 a.m. or after 2:00 p.m. Book the Ultimate Kauai Adventure Early Bird Tour. 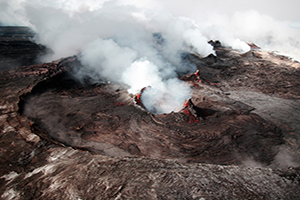 Experience the fiery lava vents of the active volcano, Kilauea. The intensity of the live volcanic landscape will take your breath away. This is just one of the unique sights you'll find on an island boasting 11 out of 13 climate zones present on Earth. Save on the Early Bird Helicopter Tour. 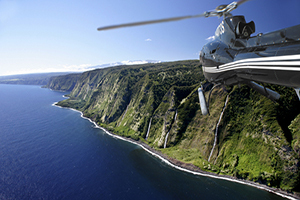 Book your Big Island helicopter tour for 7:30 a.m. and save $50 per person. Experience the fiery lava vents of the active volcano, Kilauea. 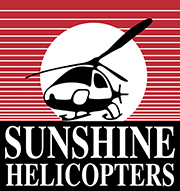 "Experience the Adventure of a Lifetime with Sunshine Helicopters"
Sunshine Helicopters offers helicopter tours and sightseeing tours of Maui, Molokai, Hawaii Big Island, Kauai and Grand Canyon. Over 90% of the State of Hawaii is accessible only by helicopter. 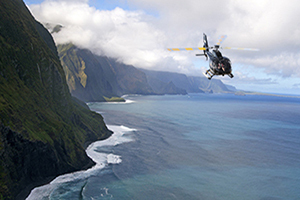 Soar with us in the blue skies above the Hawaiian Islands aboard our "Black Beauty" state-of-the-art helicopters. 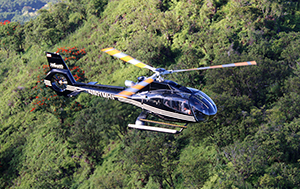 Hawaii air tours offer spectacular aerial views of erupting and dormant volcanoes including Haleakala National Park on the island of Maui and Volcano National Park on the island of Hawaii. Enjoy the Grand Canyon helicopter tour and see the famous Hualapai Skywalk from across the canyon, then descend and land overlooking the mighty Colorado River 3,000 to 4,000 feet below the Grand Canyon Rim for a champagne picnic landing.